We all know being friends with your ex is one of the toughest jobs in our life. Most of the couples don’t want to have a messy break-up and to avoid that they promise to be friends even after the breakup. Let’s be honest, though; it never goes as per plan. The memories, the affection, the moments you have shared with your ex will haunt you for life. No matter how strong you are, being friends with your ex is never a good idea. 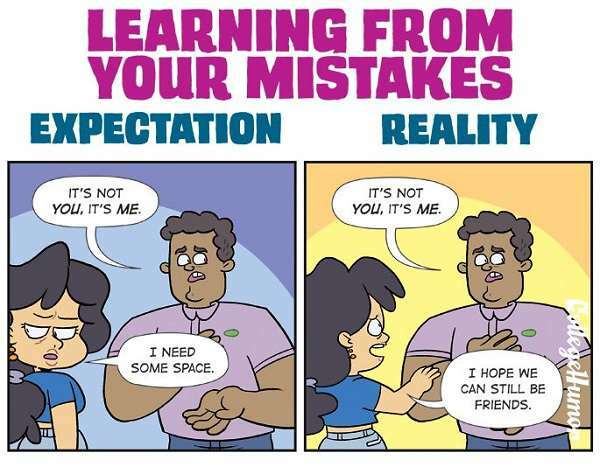 These College Humor Illustrations perfectly describe the awkwardness of being friends with your ex. The comics were written by Shea Strauss and the illustrator behind this funny comics is Andy Kluthe(NerdRage). 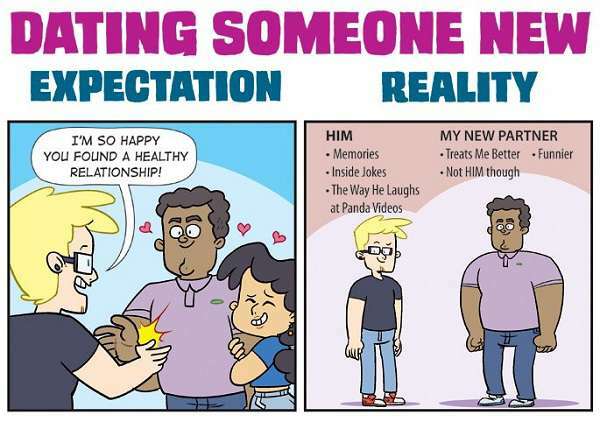 Well, we can say only one thing that these illustrations can’t get more accurate. If you are a person who has been in and out of the relationship, then you can very well relate to the awkwardness of being friends with your ex. Let’s have a look at these funny illustrations and see if you can relate to these situations. 1. Remembering the good old times. 2. Learning from the mistakes. 3. Finding the new love of your life. 4. 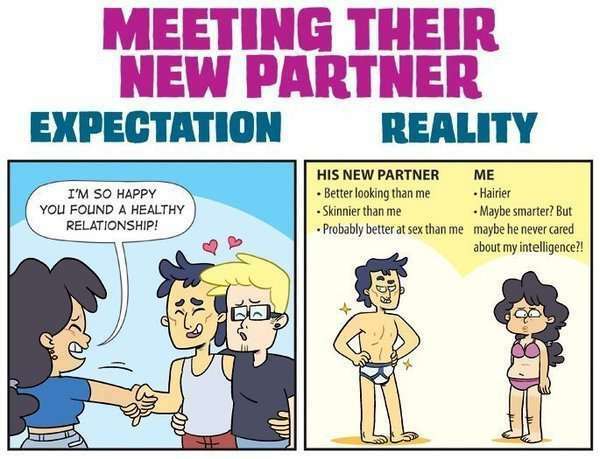 When you meet their new partner. 5. 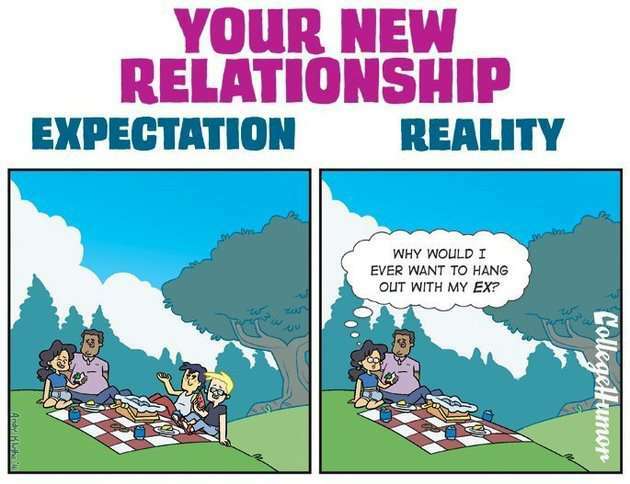 Being friends with your ex never goes as per expectations. 6. Do you enjoy your new relationship? Similar: Artist Creates Illustrations Showing What Women Do When No One Is Watching. 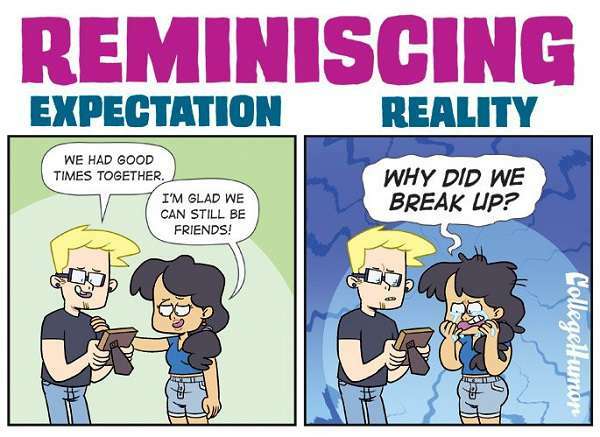 Do let us know if you can relate to these illustrations showing the awkwardness of being friends with your ex? Also, if you find these illustrations funny, share this post with your friends and loved ones.